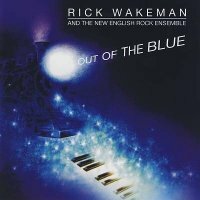 The seemingly continuous stream of Rick Wakeman re-releases continues with these latest offerings. As I opined in the last issue, I'm not entirely sure who these are aimed at given that staunch fans will certainly own his entire catalogue by now and the chances of engaging a new audience appear rather limited. That is particularly true of 'Out Of The Blue' which is yet another live album; I'd be hard pressed to think of another artist who has released quite so many "official" live albums (including "official" bootlegs) as Wakeman. Again, as mentioned previously, the vocals of Damian Wilson are an acquired taste, as much as I like his work with Threshold in particular, to me his style doesn't sit easily with Wakeman's music, his theatrical swooping grates on the sensibilities more than somewhat. Where he does come to the fore is on 'No Earthly Connection/ The Prisoner' which is a track that sounds as if it's lifted from a Musical. As a compilation it provides a decent cross section of Wakeman's canon; the highlights being the instrumentals 'Jane Seymour' and 'Catherine Parr' from the fabulous 'Six Wives Of Henry VIII' album. But with 'Return Of The Phantom/Starship Trooper/Wűrm', I'd rather put on 'Yessongs' for the definitive live version. 'Softsword – King John & The Magna Carta' is interesting insofar as I'd not heard it or been aware of it before, clearly one of the albums released after my original interest waned; and for a moment I felt that was a shame as there are glimpses of something of a return to form, but they turned out to be short lived as 'The Siege' and 'The Story Of Love (King John)' are both pretty poor compositions that sound laboured and forced. Based on music commissioned for the finale of the 1991 Dickens Festival in Rochester, Kent, he took the themes he'd created and developed them into the tracks that appear on the album. For this album he chose to use female vocals with Chrissie Hammond, who readers of Fireworks will recognise from the band Cheetah, being the lady in question. 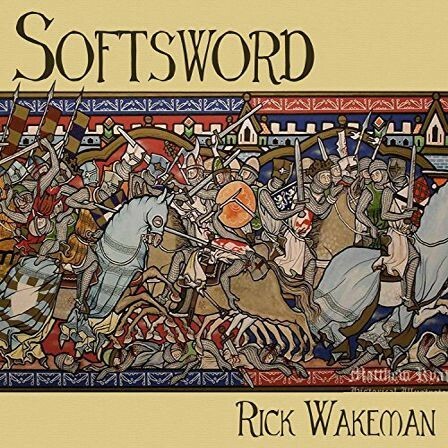 She has a terrific voice which, at times (notably opening track 'Magna Carta' or 'Charter' as it says on downloads), suits Wakeman's style very nicely but sadly that's infrequent. It doesn't come close to reaching the heady heights of the aforementioned 'Six Wives...', 'The Myths And Legends Of King Arthur...' or 'Journey To The Centre Of The Earth', although there are some of his familiar grandiose themes and the occasional exciting keyboard solo but all in all it's a rather disappointing affair.